By far and away the best emotional support for women struggling with PIP implants is from other women who understand just how it feels. Facebook Forums and Groups provide valuable support and help build lasting friendships. Groups provide an opportunity to discuss the issues and decisions we are facing, to share information and experiences. 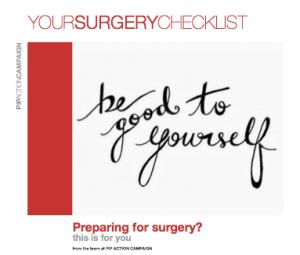 We have prepared a new guide to help all those preparing for Surgery. In the USA, the Medical Devices Regulator the FDA requires manufacturers of Silicone Breast Implants to keep detailed records and monitor women for many years. The FDA also provides consumer information. It’s worth reviewing if you are considering replacing PIP implants for medical grade silicone breast implants.